Simply Wed: Anybody Have an Extra $47K I Can Borrow? A spring bird invitation from downloadandprint.com. According to the annual Real Weddings Survey by the Knot and the Wedding Channel, Rhode Island ranks fifth in the country for wedding costs, coming in at an average of $47,399 per Big Day, honeymoon not included. New York City, Chicago and parts of Jersey nudged ahead of the Ocean State, but they’re cities and regions, not the whole whopping state. That means people who get married in, say, Scituate or Charlestown, are factored into this figure — not just the mansion groupies in Newport. I realize I might be stingier than most brides, but come on, people. My college education hovered around the same amount, and that got me about 1,100 days of (mostly) solid education and great housing, plus a career and a fuzzy grasp on Shakespeare’s body of work. 1. Rely on your tribe. Thus far, we scored our venue (free), caterer (at cost), florist (at cost) and sound system (free) through various familial connections. If you think long and hard, you, too, will be able to come up with a few people with valuable wedding-day skills. Need some heavy lifting done? Call that brawny cousin of yours. Want breathtaking design without the price of a planner? See if your Pinterest-addicted friend will advise. Hate the thought of spending tons on perishable decor? Find a green-thumbed relative to raise some flowers for the tables, or buy in bulk from local growers like Robin Hollow Farm in Saunderstown. 2. Negotiate. I think I was most shocked by the sticker price of wedding day photography. How could engagement sessions be $100 per hour and the wedding be upwards of $400 per hour? I get that the post-work requires a lot of eye-bleeding attention, and that couples often request two photographers, should anything go wrong with the first. But if you’re not that fussy, feel free to play with your options. We’ve found that we really only want two or three hours of coverage versus six to eight, since many of our friends and family will bring along their own digital cameras. Then, after the day, we’ll create a Flickr account in which the guests’ photos may be shared and downloaded. 3. Print it yourself. It’s becoming easier than ever to DIY every little paper detail, from dessert flags to the “Just Married!” car banner. I’ve discovered some adorable free templates on offbeatbride.com and weddingchicks.com, but I’m sticking with the foolproof downloadandprint.com. 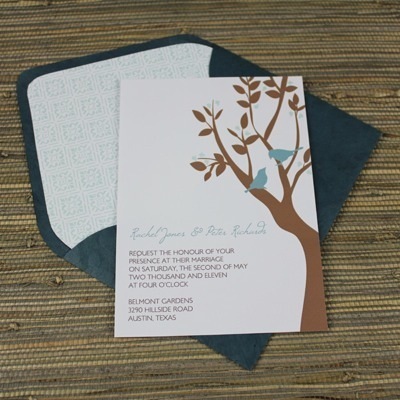 The site offers hundreds of trendy templates geared toward the novice do-it-yourselfer, with recommendations on where to buy paper and envelopes with exact color matching, plus — great for the budget-conscious bride — a cost estimate per invitation that includes envelope and paper costs. The set I’m eyeing comes in at 30 cents per invitation, a huge slash in cost from the $4 designs I was scoping out on Etsy (think $45 vs. $600). And — no lie — the cheap ones will be just as pretty after I wrap them up in dainty ribbon or a piece of fabric. See a real-life DIYer’s take here. Many websites that boast free templates often print in funky sizes; I, personally, don’t want to deal with the frustration of loading teeny paper into my printer or tossing away lots of scraps or searching for hard-to-find envelope sizes. But Download and Print’s save-the-dates/invitations/RSVPs print in multiples on standard 8.5 by 11-inch paper; all you have to do is cut on the dotted line. You’ll see several free templates on the site, but for $25, you can have unlimited download access for twelve months. That means endless specialty prints, from the save-the-dates to the thank you cards to the housewarming invitations you’ll need a few months later (since you saved so much along the way).